INMUNOTEK has been chosen to enter in CEPYME500. 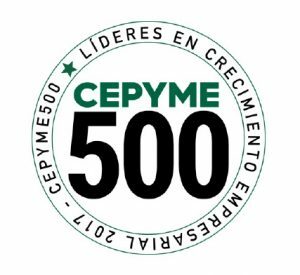 This is an initiative of CEPYME (State Confederation of Small and Medium-sized Enterprises) to identify, select and promote the 500 companies that lead business growth, both in terms of their results and their capacity to generate added value, employment, innovation and international projection . As stated in CEPYME500, the main function of this initiative is to grant national and international recognition and projection to selected companies.